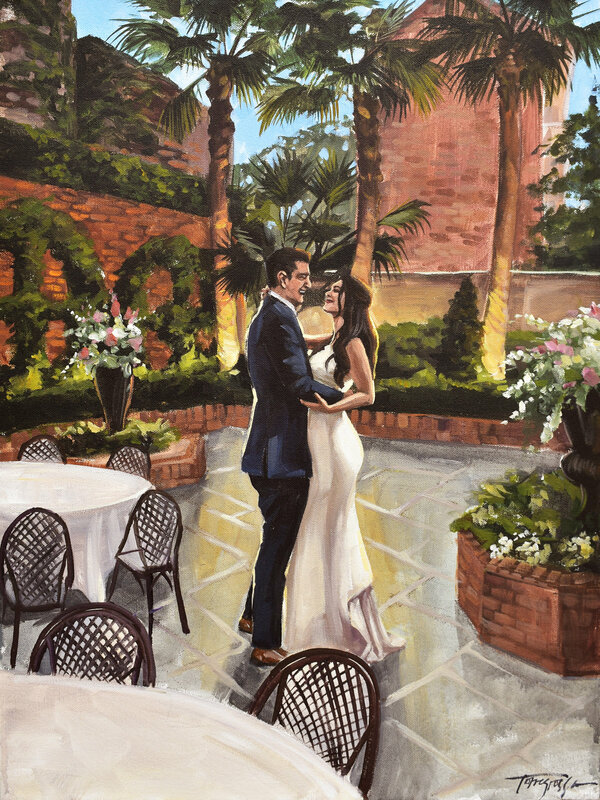 click below to learn more about live wedding painting, and to view the gallery. if you say you don't, you're lying. best gift ever, and order one for a friend! or inspiration, I'm here for you. In the past few years I have learned a lot about the art of capturing life on canvas (in real time... in front of large groups of people...) and believe it or not, my passion for this kind of live painting has grown more and more every day. 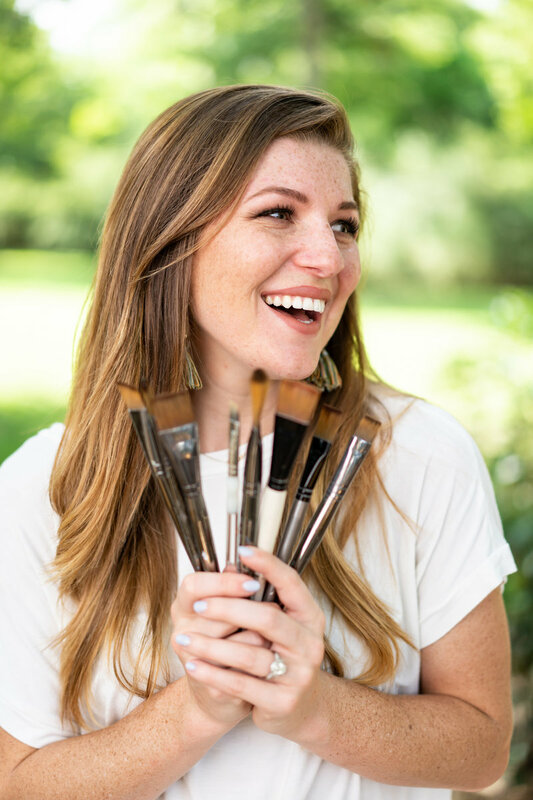 Join me on my journey as an artist, and laugh with me as I make creative mistakes, jump hurdles in business, and make my dreams of success come true! 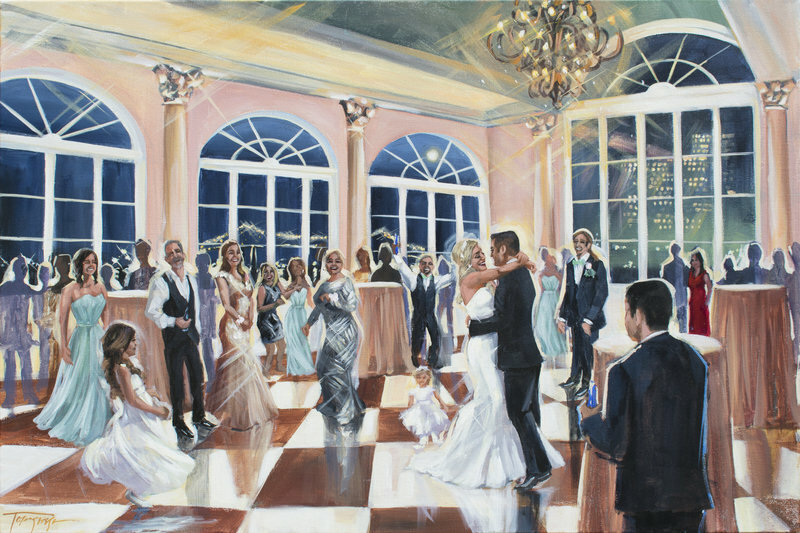 I'm a fine artist and creative entrepreneur in South Louisiana, best known for my live wedding paintings. OR I KNOW someONE WHO IS! I'm stoked to hear from you! it can be lonely and a bit scary to do this creative business thing on your own. trust me, I know! so, how can we grow together today? 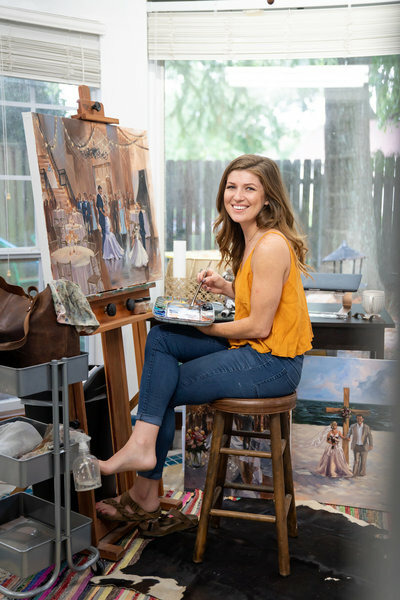 Stephanie Gaffney is a master at capturing the unique charm of each wedding, and is able to paint the magic of the day as it develops before her eyes. With each glance at the room and stroke of the brush, she captures the essence of the love and happiness that fills the air. Capture a fleeting moment in time in a beautiful and entertaining art form that dates back to the Renaissance - a live wedding painting. "Our painting is so gorgeous, and so life-like!" 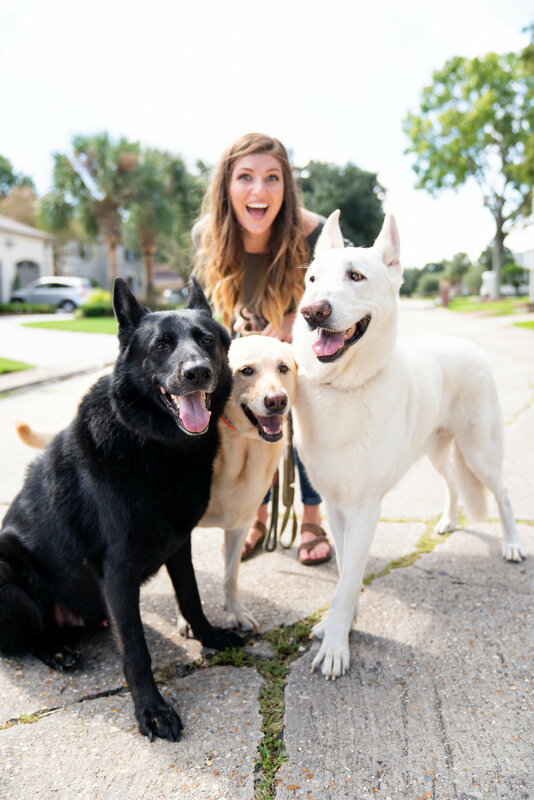 "Stephanie was AMAZING! Our painting is gorgeous, and so life-like! 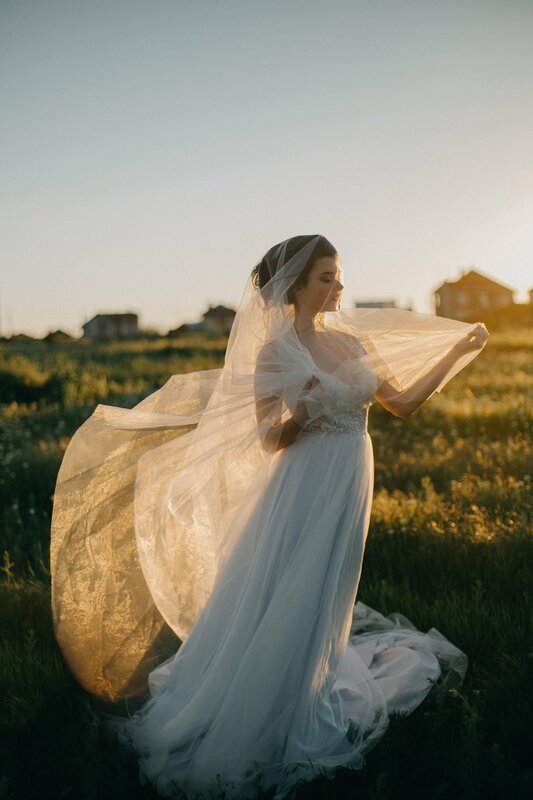 She captured the most perfect moments from our special night! Stephanie is very professional, but she has fun! She even did the Footloose with my guests! 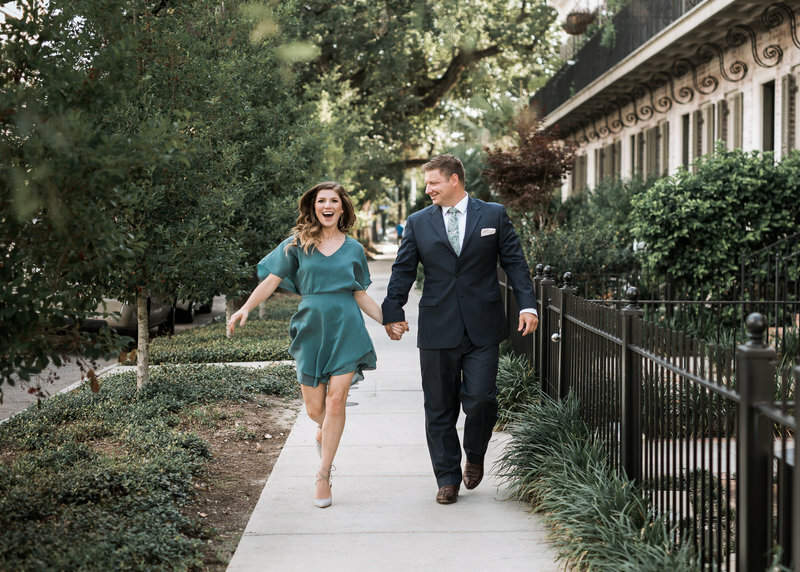 Our wedding was in mid March, and I am still getting calls about the live painting!" 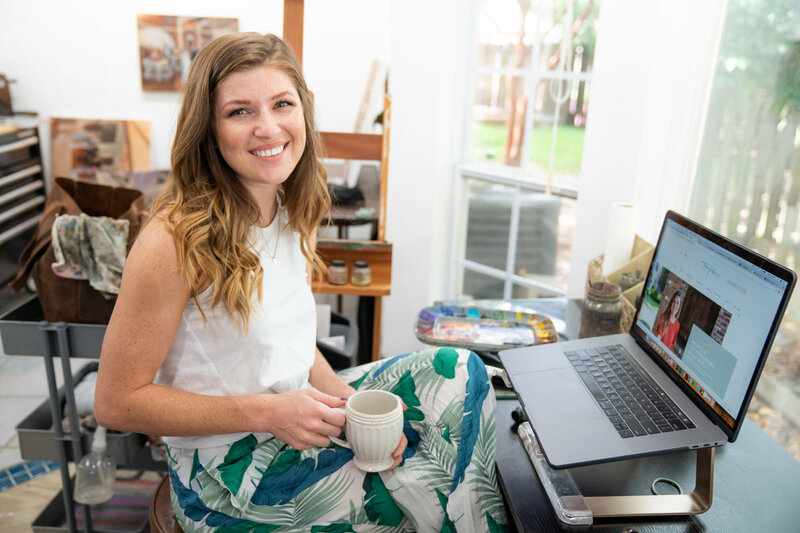 keep up with my adventures in business & art on the blog! 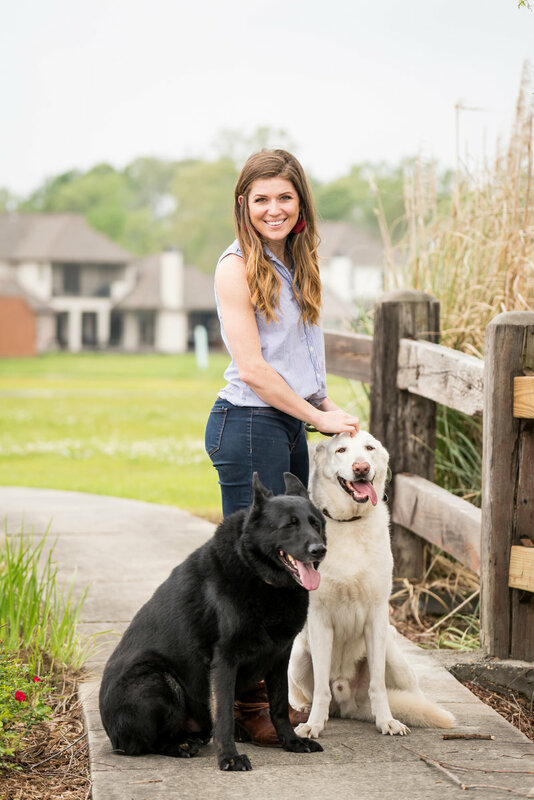 I'm Stephanie, a fine artist and entrepreneur in South Louisiana, best known for my live wedding and event paintings. I am bold, creative, passionate, and genuine... and so are you. © Torregrossa Fine art, Inc. All Rights reserved.